Food Sovereignty Ghana (FSG) urgently calls on the government to be coherent in its policy on the introduction of genetically modified organisms (GMO) into our food chain and desist from misleading media sound bites calibrated to throw dust into the eyes of the public. “We believe this is a sign that the government is feeling the push-back from the Ghanaian public. This is happening at a time that the GM lobby has been intensifying their pro-GMO campaign activities involving local scientists, media personnel and some farmers. The Ghanaian public has clearly seen through such efforts, and are asking the right questions. Dr. Afriyie cannot extricate himself from the GMO debacle without clarifying the official position of his own ministry on the matter”. Adding that, the Minister of Food and Agriculture, Dr. Owusu Afriyie Akoto, has been compelled to again insist on a change of his position. Whilst FSG welcomes the minister’s new appreciation of the reality as a progressive development, it must be clear to all that this is not enough. Reactions across the board among our membership as well as colleagues in the civil society and agroecology advocacy movements overwhelmingly see this as a step in the right direction from a key policy maker. However, most are quick to add that there is still a lack of clarity on what the position of the Government of Ghana is on the introduction of GMOs into our food chain, despite the fact that scientific uncertainties persist, and consumers right to know is currently being undermined by the lack of laws requiring even the labelling of the so-called “approved” GMOs! They said , “What we find most worrying here is the fact that Dr. Afriyie’s position appears to be an attempt to camouflage the official government policy, possibly with an eye on the 2020 elections. Clearly aware of the unpopularity of the plans of the GMO lobby, the government has clearly been very timid in promoting its official policy on GMOs. The only rare occasion we came across an official from the Ministry of Food and Agriculture, publicly declaring the stand of the government was during a “Question and Answer Session On Genetically Modified Foods And Its Implications For Ghana”, at the Obed Asamoah Conference Room of Ministry of Foreign Affairs on Tuesday, 16th January, 2018, Dr. Solomon Gyan-Ansah, Deputy Director for Crop Services, Ministry of Food and Agriculture declared the stand of the government as being for the introduction of GMOs into our food chain!”. Consequently, Professor Kwabena Frimpong-Boateng, Minister of Environment, Science, Technology and Innovation urged the National Biosafety Authority (NBA) Board to educate the public on biotechnology and biosafety issues. He said it will help the public understand and embrace biotechnology as a better alternative to socio-economic advancement. He said “Biotechnology is so important and we can’t develop without it”, adding that countries like China in 1986 embraced biotechnology and did extensive research in various biotechnology systems which resulted in its fast advancement globally. The government cannot be speaking about GMOs from both sides of the mouth, where one side says “Yes”, and the other side says “No”. We find it disingenuous to tergiversate over an issue as serious as this just for electoral reasons. GMO’s are engineered to tolerate high doses of dangerous chemicals like glyphosate, which is now a proven carcinogen. We live in a world of dangerous chemicals and fraudulent corporations. The government therefore needs to be as proactive as the Ministry of Agriculture, Irrigation and Water Development of Malawi, which has announced its intention to suspend the import permit for Monsanto’s Roundup into the country. Should not our own government be doing this for the safety of Ghanaians? There is already a third trial of Monsanto’s Roundup on the way. The first two all went against Monsanto, with their Roundup cited as being the causative agent of the non-Hodgkin lymphoma. We need to be be grateful for the precedents set in law by the recent court findings in San Francisco and payments of damages and compensations to, first, Dewayne Johnson, a 46-year-old former groundskeeper, and to Edwin Hardeman, 70, who used Roundup to control weeds and poison oak on his property for 26 years. “We were finally able to show the jury the secret, internal Monsanto documents proving that Monsanto has known for decades that … Roundup could cause cancer,” Johnson’s lawyer Brent Wisner said in a statement. The verdict, he added, sent a “message to Monsanto that its years of deception regarding Roundup is over and that they should put consumer safety first over profits”. The game is almost over. Monsanto is facing more than 4,000 similar cases across the US. We call on the government to put Ghana first, and protect the health and environment of Ghanaians. We repeat our call on the government for an indefinite moratorium on the introduction of GM food and feed into our food chain. At the same time, at the very minimum, we call for the labelling of all food and feed that contains GMO to afford consumers the right to know the contents of the products they purchase with their often scarce resources! According to the FDA, “Mandatory labelling regulations require food products derived wholly or partially from GMOs to be labelled in accordance with guidelines; failure to comply with regulations attracts a penalty which is usually very hefty. On the other hand, voluntary regulations provide guidelines for labelling foods derived from GMOs, however, the decision to label is taken by the food product manufacturer or distributor.” A voluntary labelling is thus out of the question and not in the interest of public safety in Ghana. These are issues that call for urgent government attention since Ghanaians take their food personally and very seriously. 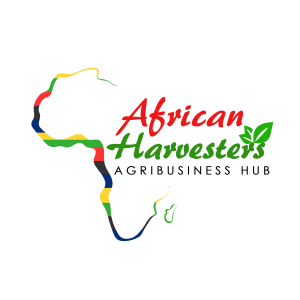 Disclaimer: "The views/contents expressed in this article are the sole responsibility of the author(s) and do not neccessarily reflect those of African Harvesters. African Harvesters will not be responsible or liable for any inaccurate or incorrect statements contained in this article."